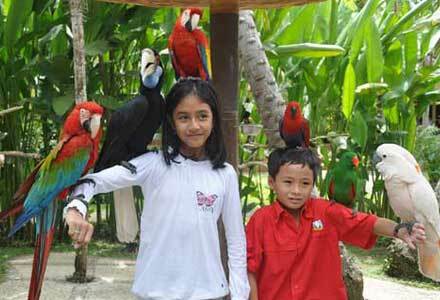 As tourism destination, Bali island is widely known with its beauty nature and culture and of course the tourism objects. The tourists who visit Bali are very much enjoying those tourism objects which are indeed clean and neatly managed. Please refer the Bali tourism map on our Homepage to get location of each Bali beach and destinations above. 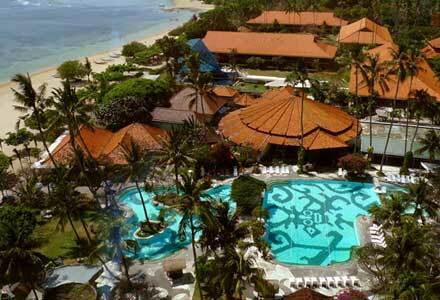 As a tourism destination, Bali has many tourism places either its widely known, or less known. Bali can be said as a ‘one stop shopping’ for tourism business, because with only visiting one island, tourists can see many places with different themes; either it’s natural, religious, cultural, or modern. Bali beaches are famous with its beauty and the waves, where tourists can do many water activities such as surfing, diving, snorkeling or merely swimming. Kuta and Uluwatu beach offer supportive atmosphere to do the surfing. 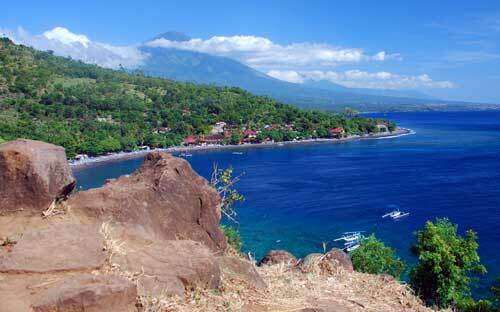 Tulamben is perfect for beginner divers, who try to see the undersea life because it keeps American warship carrion. Bali beach are filled with sea biota and coral reef ecosystem which can be enjoyed directly when you’re dive in it. Sanur, Nusa Penida, and Menjangan island are famous spots to do the diving for the beginner divers, while Nusa Penida, Padang Bai and Amed are ideal spots to do snorkeling. For visitors who never involve with those kinds of water activities, there are rental place available for water activity equipments, such as snorkeling, diving, and surfing. 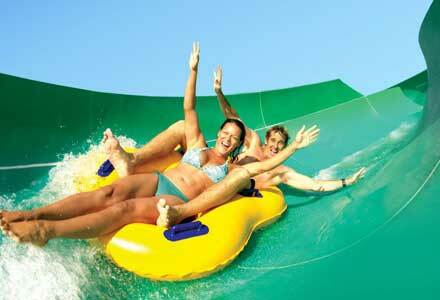 Bali also offers service for trained instructor to do those activities. For those who like adrenaline-pumping sports, they can do bungee jumping and river rafting for adventure lovers, Bali Treetop Adventure which located in Eka Karya Botanical Garden, Bedugul can be the best Bali tourism object. 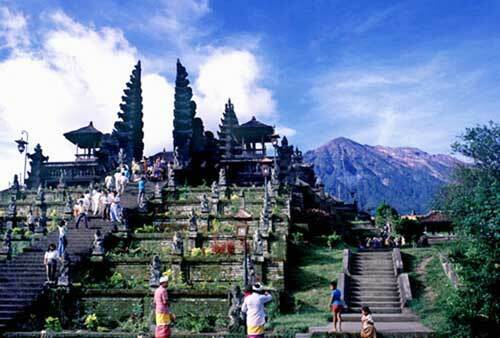 Bali also known as the Island of God, for it has so many temples. The religious life of the society very much influence in all aspects of their life. Many temples which then become Bali destination, as you can find in Uluwatu and Tanah Lot. Tanah Lot temple is located in the sea or separate from the land side. In Tanah Lot, there are small and big temples such as Pekendungan temple. Underneath and in the west side of the temple, there’s fresh water spring which is sacred water for Hindu people. Below Tanah Lot temple, there are some caves where some black and white snakes live. These snakes are tamed, and forbidden to be disturbed. If the sea is in tidal, the temple will looks like a floating island. In Tanah Lot we can enjoy the full moon at evening and the sunset in the sky, which is a magnificent view to see. Uluwatu temple is a Bali tourism object which is located in the tip of rock, precisely in the south beach of Bali. It is a very sacred temple for Hindu people. Uluwatu temple located in the south side of Bali island which is as Sad Kayangan temple that believed to be the universe support. Bali is also known for its unique culture. One of them is Ngaben ceremony. Ngaben ceremony is a death ceremony where the dead body is cremated, and all is well-prepared and involving so many people. Ngaben is interesting because you cannot see it every day due to the high cost of it. Another culture attraction in Bali which attracts many tourists is the Balinese dance. Kecak dance is one of the famous Balinese dance. 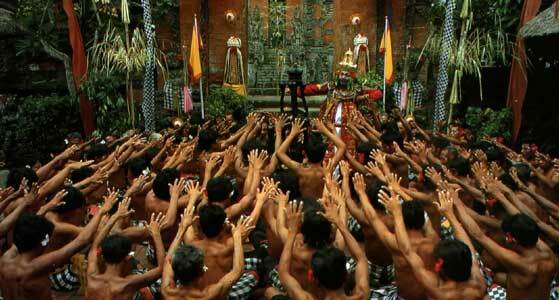 Kecak dance is played by many men which sit and form lines in circle. Those men are making voice of ‘cak’ repeatedly while they lift their both hands. Kecak dance describes Ramayana story when lines of apes are helping Rama to fight against Rahwana. For those who like shopping, Seminyak will be a perfect spot to do it. They can find many stuffs from clothes to handicraft. For cheaper price, you can visit Sukawati art market. Here, you can find more choices of clothes and other stuffs in affordable price. Even, you still can bargain it from the first price. The amount of tourist visiting Bali is increasing from time to time. Though it once decreased so drastically (more than 95%) after the Bali bombing. The tourist who come to Bali in January 2012 is increasing 21,14% or 253,286 people, compared to January 2011. Most of them are tourist from Australia, China, Japan, Taiwan, and Malaysia. Compared to foreign tourist in December 2011, the tourist from China, Taiwan and South Korea is increasing significantly. You can find list of public service and accommodation in Bali such as hotel, car rental, tour and travel agent, hospitals, etc in the next article.